Grand beachfront Vacation Villa !! Relaxed refined luxury. 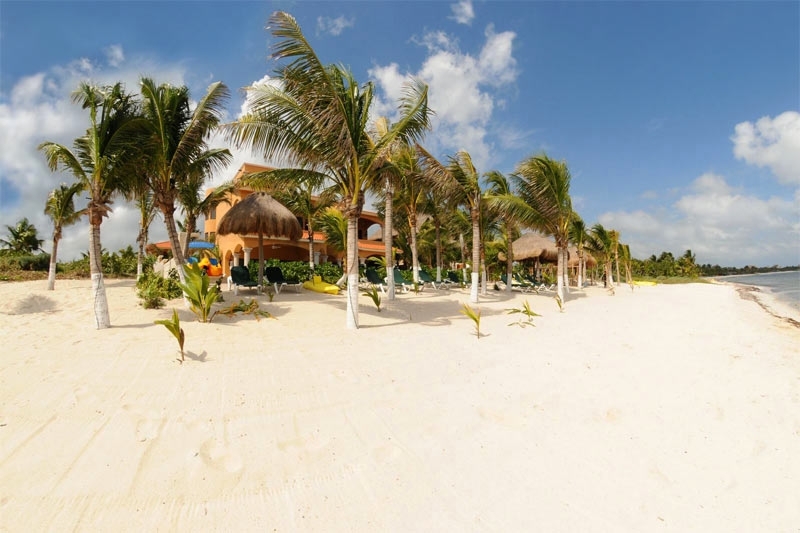 Hacienda Caracol is one of the most luxurious private villas in all the Riviera Maya. Located in Soliman Bay, a charming beach located along the second largest coral reef in the world, Caracol is a Mexican hacienda-style villa with a touch of Italian design. The villa is perfect to enjoy the most relaxing vacation in paradise. The staff works to pamper you. Let the chef cook exquisite meals for you in the fully equipped professional kitchen while you enjoy them on the outdoor marble table by the pool, or on the shaded rooftop sofas which offer a magnificent view of the entire bay. In the main house, there are eight luxurious bedrooms. Each bedroom has its own flat screen TV with satellite and en suite bathroom. The stunning bedroom of both guesthouses gives a breathtaking view of the beach and has their own kitchenette. 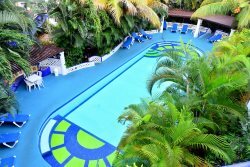 For an unforgetful life time vacation contact us now ! !